Every year around Thanksgiving break, the UNM Bookstore stocks its shelves with a special item: the annual UNM collectible holiday ornament. 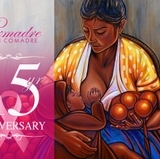 This year, Bandelier Hall is being honored as the featured building on the decoration. Since the inception of the ornament 11 years ago, it has featured many different campus locations, including Centennial Hall, the Maxwell Museum, The Pit, Zimmerman Library and many others. Artist Jana Fothergill creates the annual ornament based on a photograph, through a process that starts with a hand-drawn design. She then scans the drawing into the computer and digitally colors it. In all, the process from photo to ornament takes about a month and a half to two months. Fothergill has been designing the decoration since its inception by the UNM Parent Association – which also decides on the featured building every year. The 2018 ornament showcasing Bandelier Hall is now on sale a the UNM Bookstore for $18.89 – a price chosen to commemorate the year the school was founded. Nov. 30, 12 - 2 p.m.
Bandelier Hall was originally designed in 1930 as a Spanish-Pueblo Revival style building by architect Miles Brittelle. It features a Mission-inspired parapet over a nicho and a central zaguan (hallway) entry with halls leading off perpendicular to it. Bandelier has been used as a bookstore, offices and language laboratories, the registration center, and currently houses classrooms and laboratories for the Geography Department. The building, which served as a dining hall when it opened, was named after the famous Swiss-born Adolph F.A. Bandelier, an anthropologist who brought his pioneering multi-disciplinary approach to the study of Native American cultures to the Southwest. Bandelier Hall’s 88-year-old façade has remained largely unchanged from its original design, except for the addition of a portico in 1941. 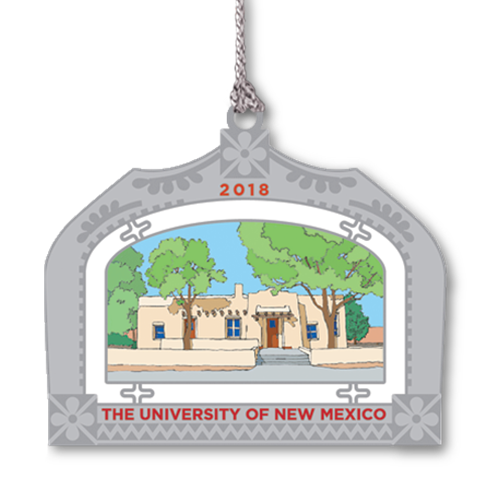 The 2018 UNM Collectible Holiday Ornament is on sale now at the bookstore, and online. 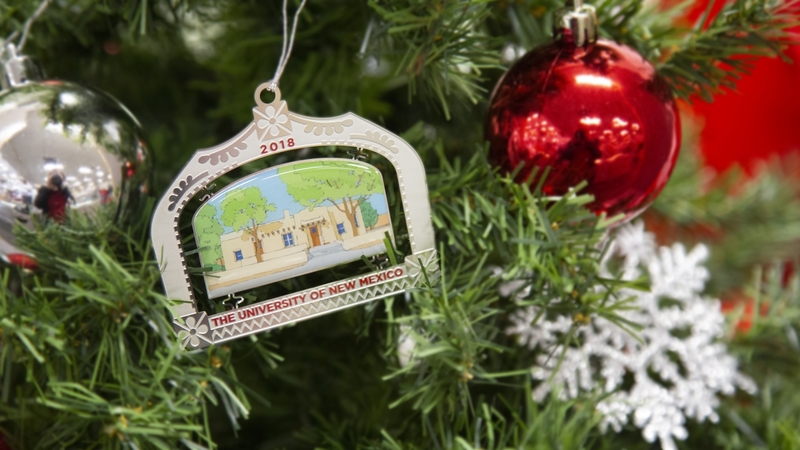 All proceeds from ornament sales benefit the UNM Parent Association Scholarship Fund.